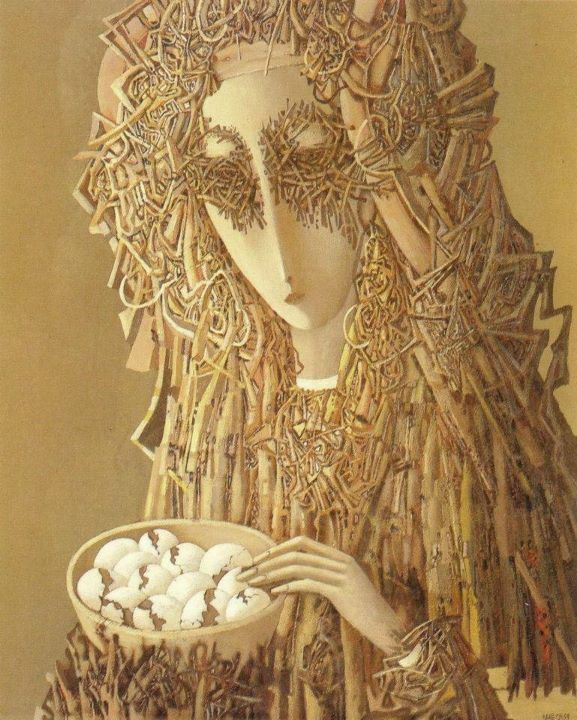 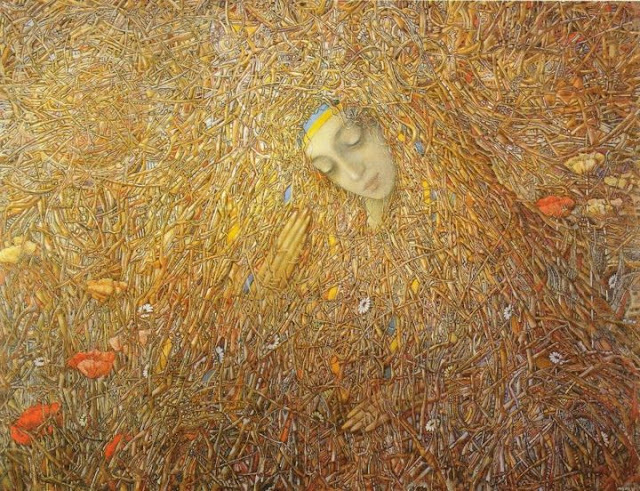 Ukrainian painter Іван Марчук was born in Moskalivka, Kremianets county, Volhynia voivodeship. 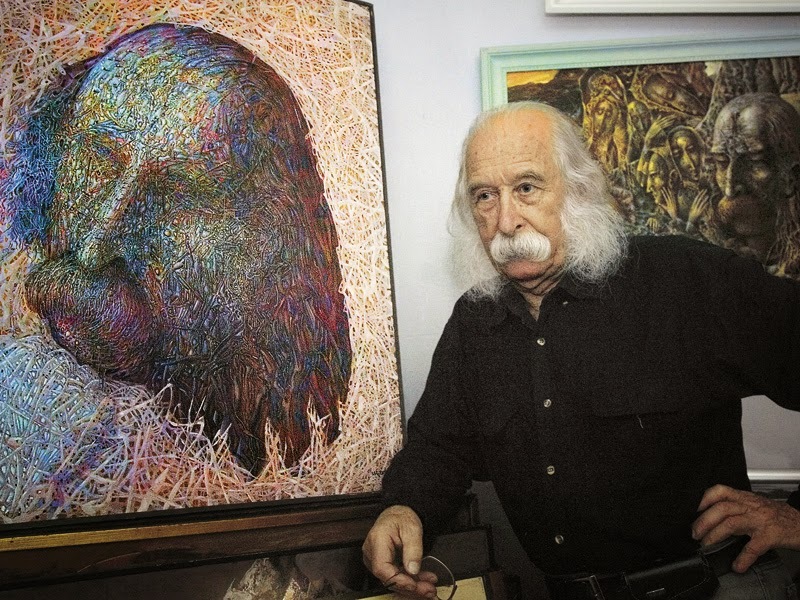 Painter and sculptor. 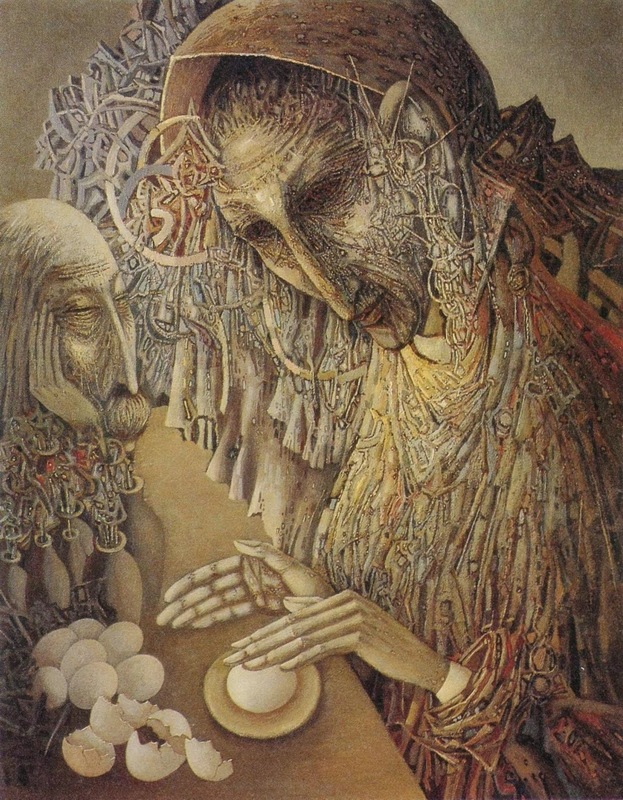 He graduated from the Lviv Institute of Applied and Decorative Art in 1965 and then moved to Kyiv. Until 1988 he was denied membership in the Union of Artists of Ukraine because his themes and style did not conform to socialist realism. 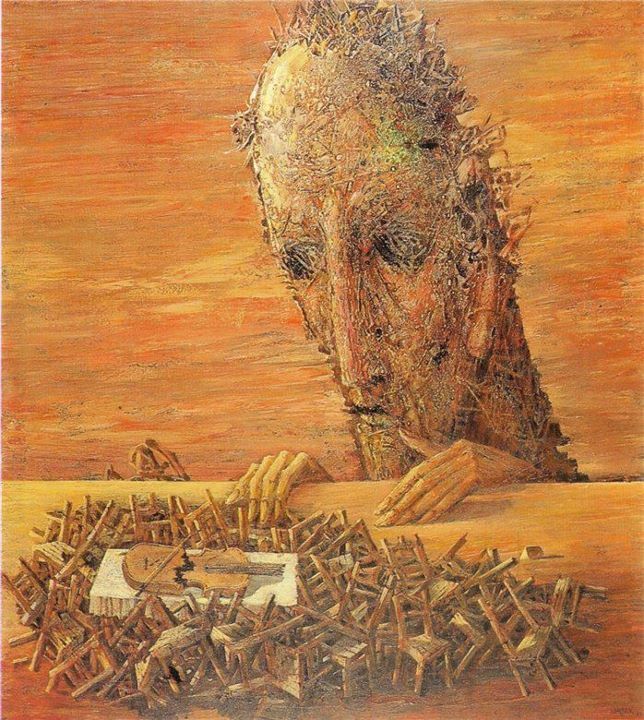 In Kyiv he created the wall-size ceramic-tile relief compositions (1969-72) in the Institute of Theoretical Physics of the Academy of Sciences of the Ukrainian SSR. 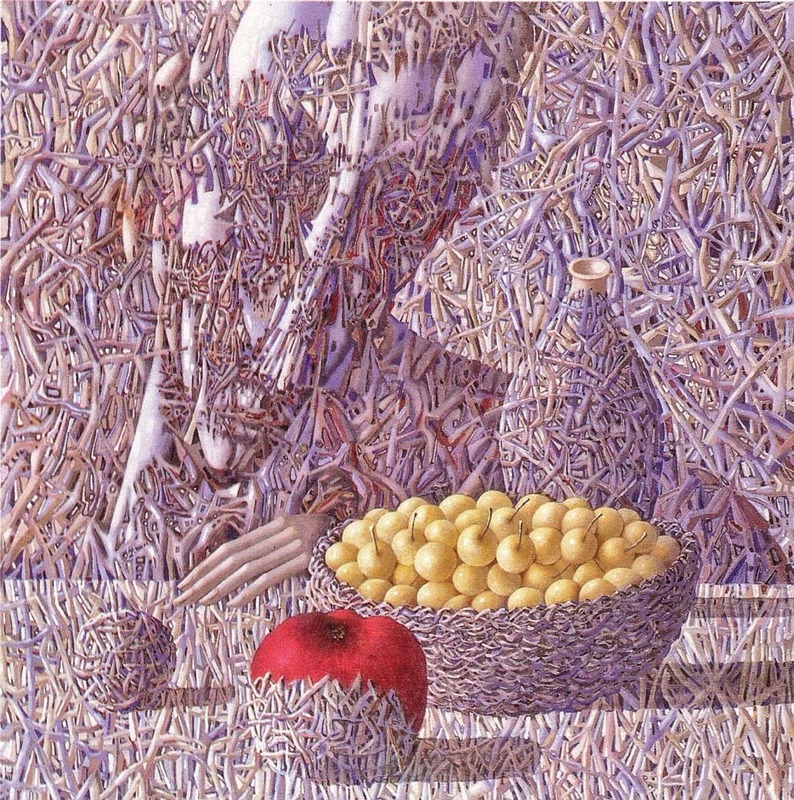 Marchuk paints fantastic figural and floral compositions with elements of surrealism, hyperrealist portraits (eg, R. Selsky, 1981), enigmatic landscapes, and abstract expressionist compositions (eg, the series ‘Colored Preludes’, 1978). 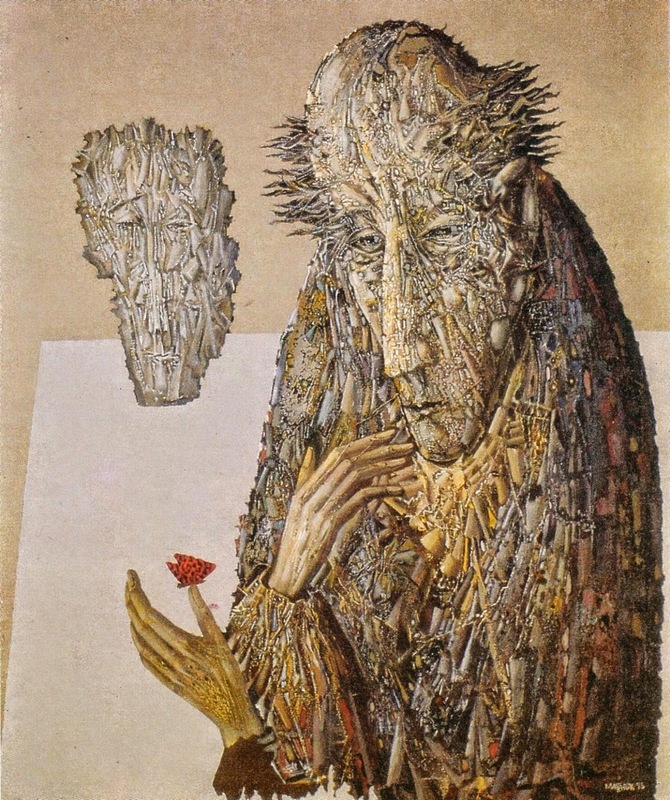 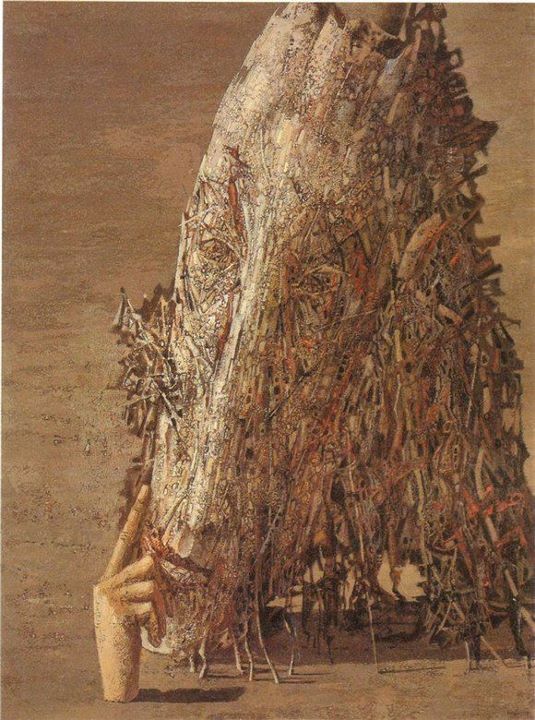 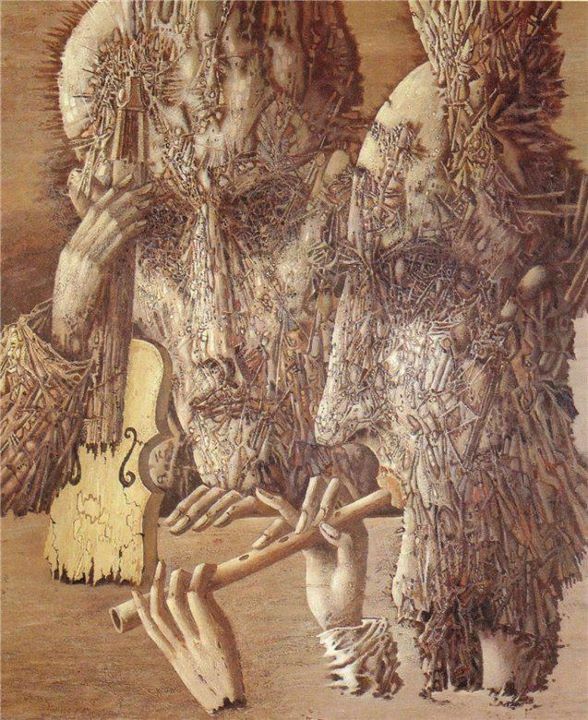 His figural tempera paintings of the ‘Voice of My Soul’ series depict seemingly irrational situations with skeletal, often grotesque, persons cut off at the waist and surrounded by sinister objects and creatures set in a vast empty landscape (eg, Empty Nest  and Dialogue without Words, 1976). 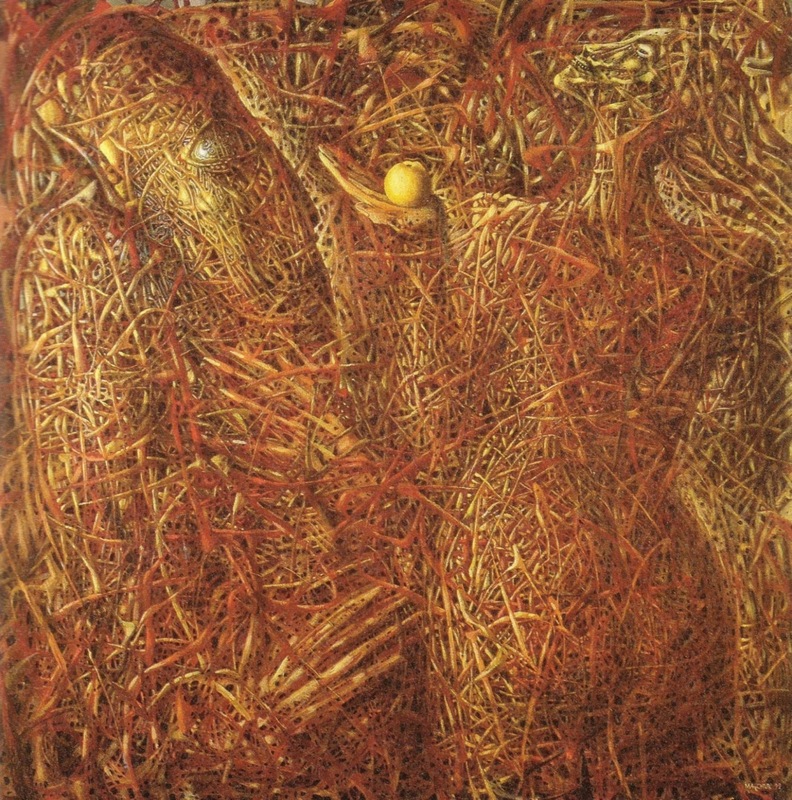 Marchuk's palette borders on the monochromatic, and the unreality of the imagery is thereby reinforced. His realistic landscapes have a peculiar, dense texture consisting of weblike layers of pigment that, combined with the dramatic use of light and dark, create an atmosphere of unease and mystery (eg, Willows in the Embrace of a Moonlit Night  and Apple in the Snow, 1979). 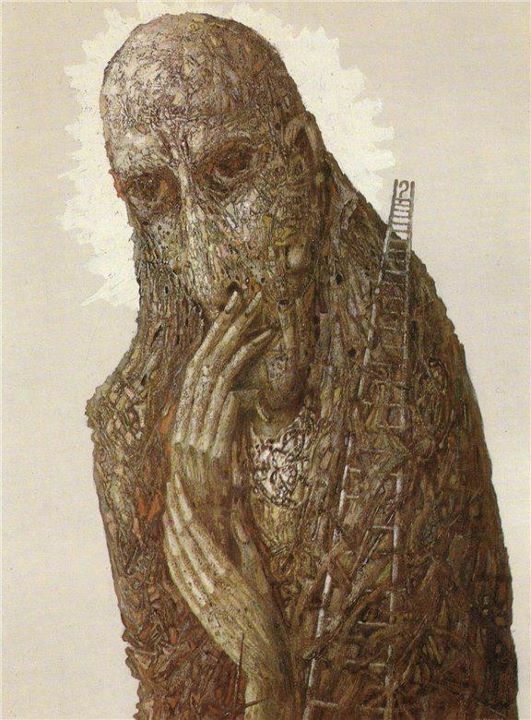 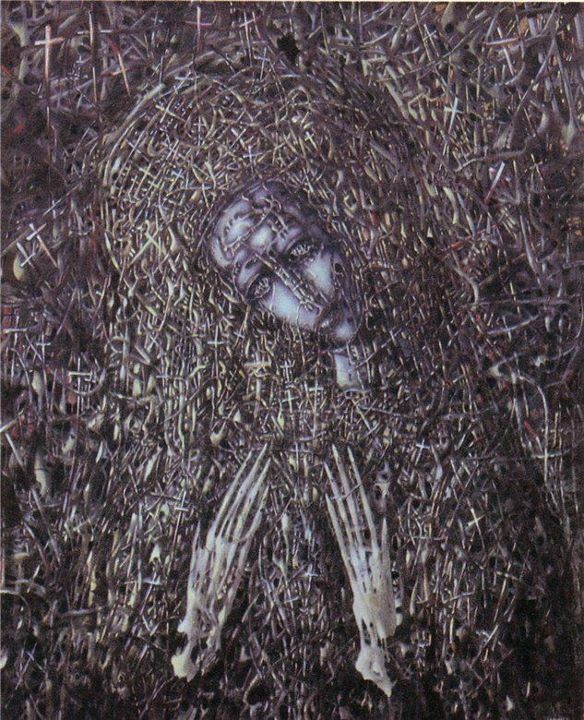 After the 1986 Chornobyl nuclear accident Marchuk created nightmarish compositions depicting the total destruction of our planet (eg, Warning 1986). 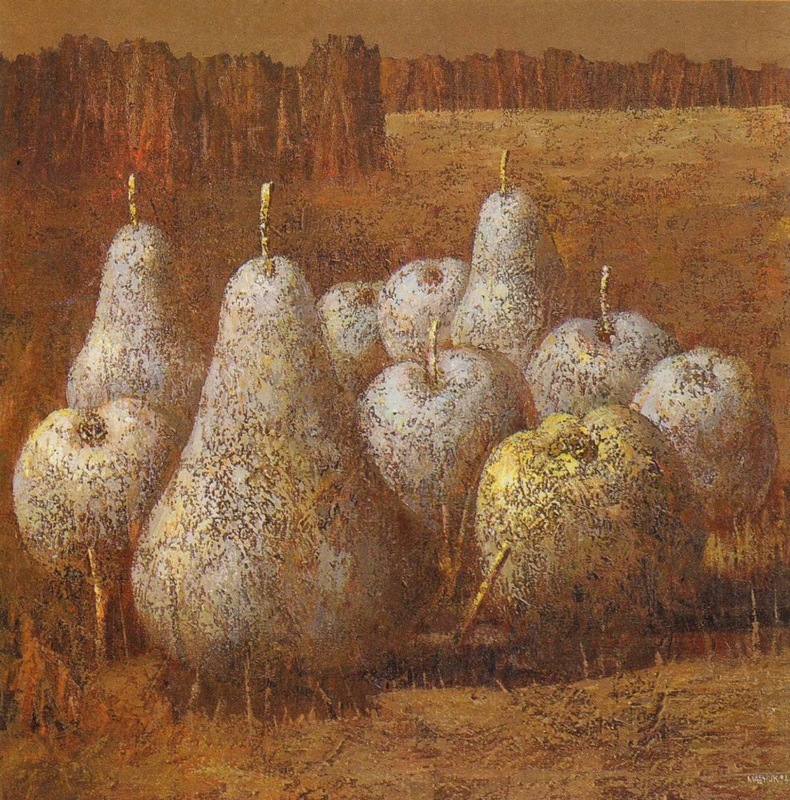 He has had numerous solo exhibitions, starting in Moscow in 1979 and Kyiv in 1980. 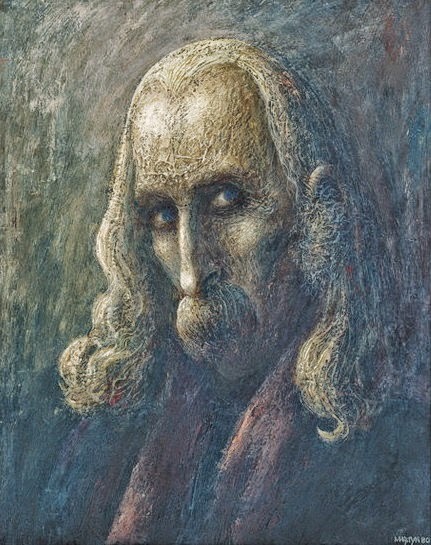 His 43 canvases inspired by the poetry of Taras Shevchenko were exhibited at the museum in the Shevchenko National Preserve in Kaniv. Since 1989 he has had several exhibitions in Australia, Canada, and New York. After the September 11, 2001 attacks which he saw, Marchuk returned to Kiev. 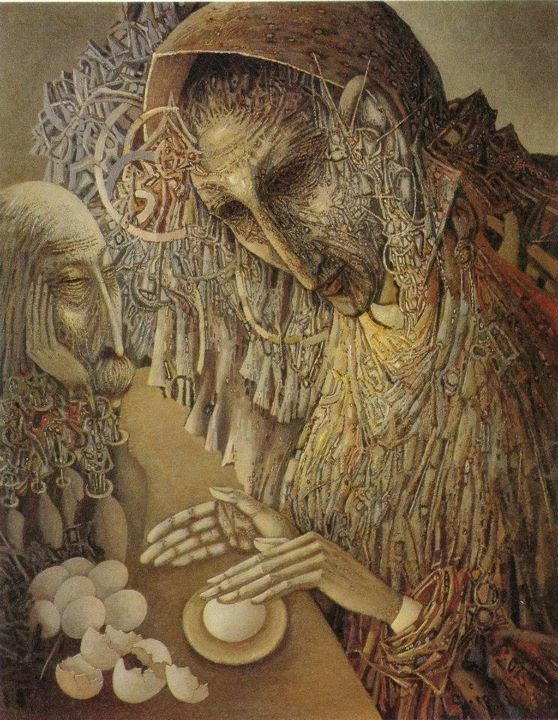 Not having been valued in the Soviet Union, Marchuk was well accepted in the independent Ukraine obtaining a prestigious T. Shevchenko award in 1997. 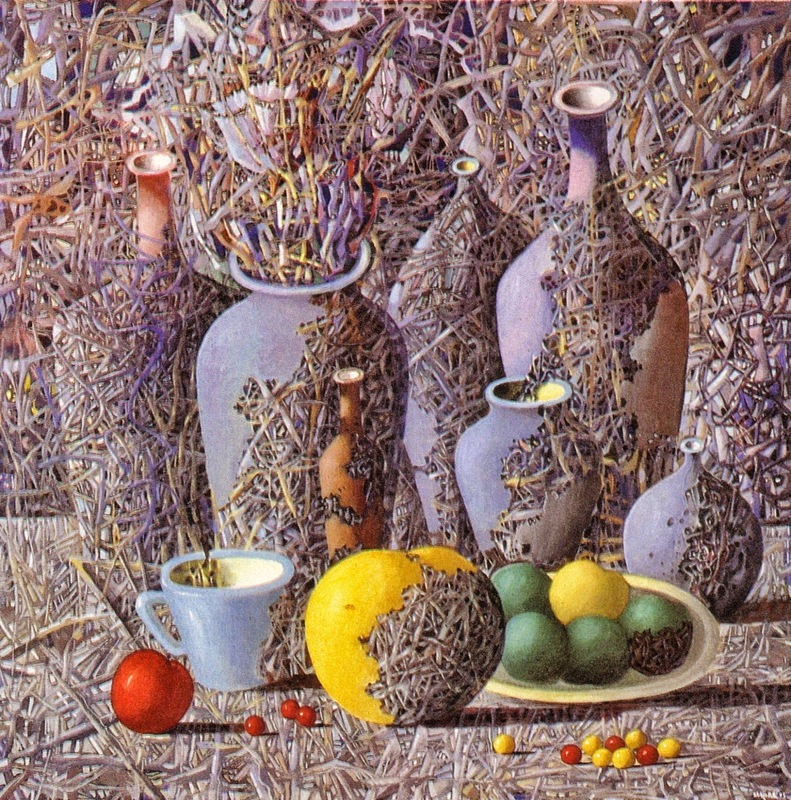 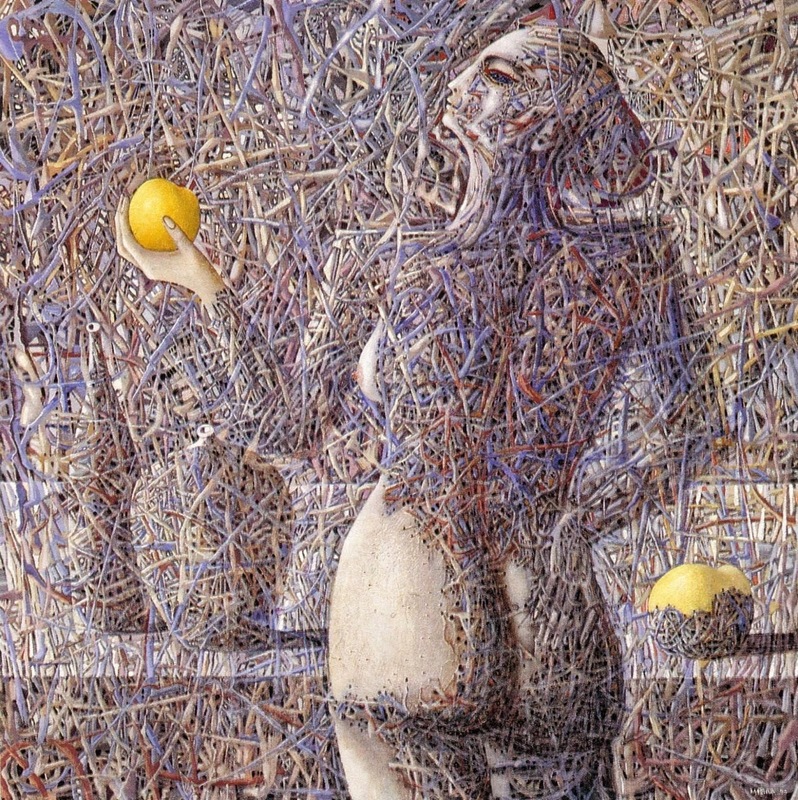 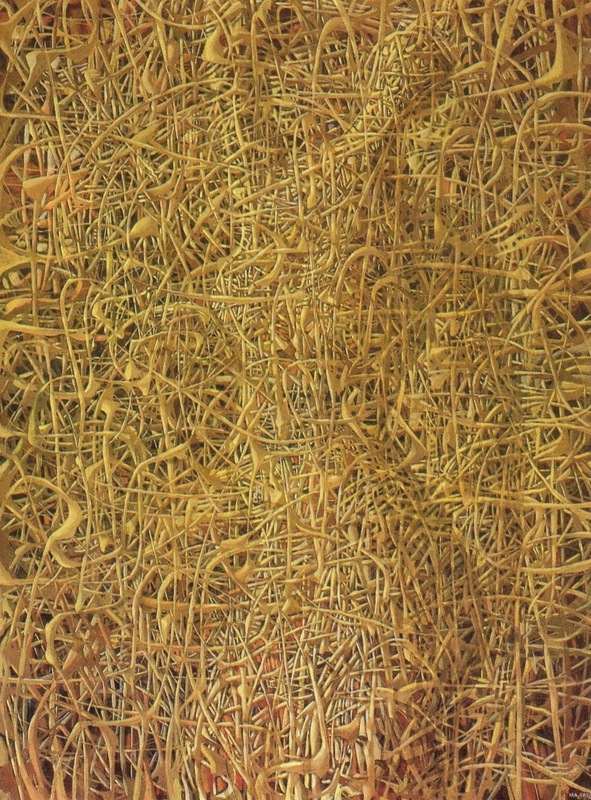 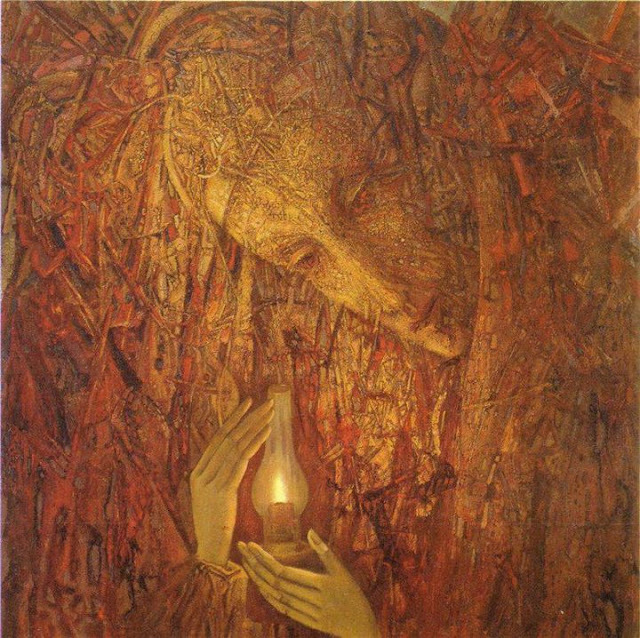 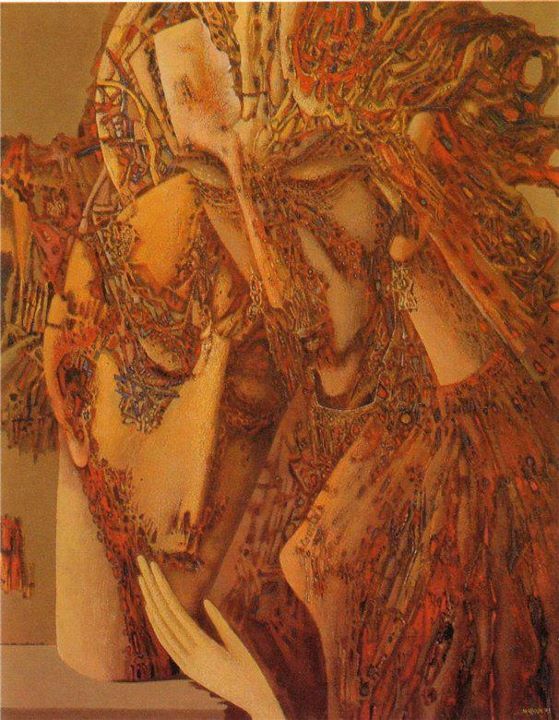 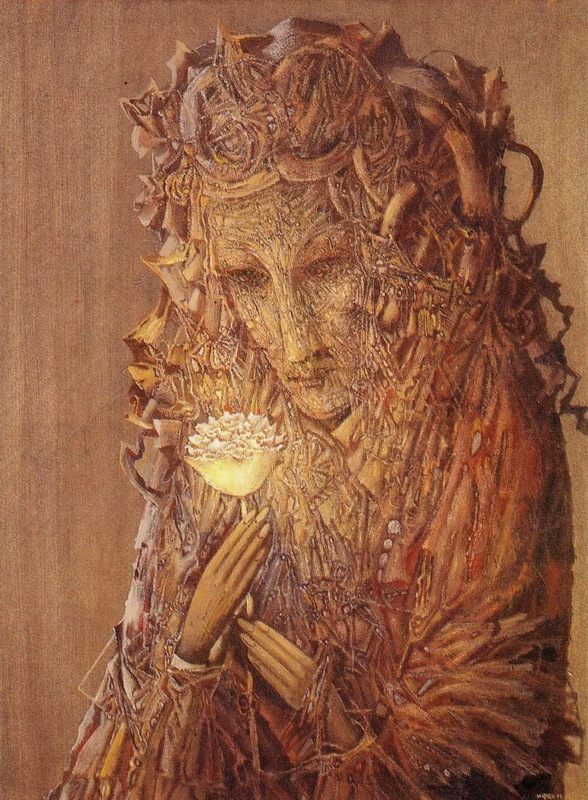 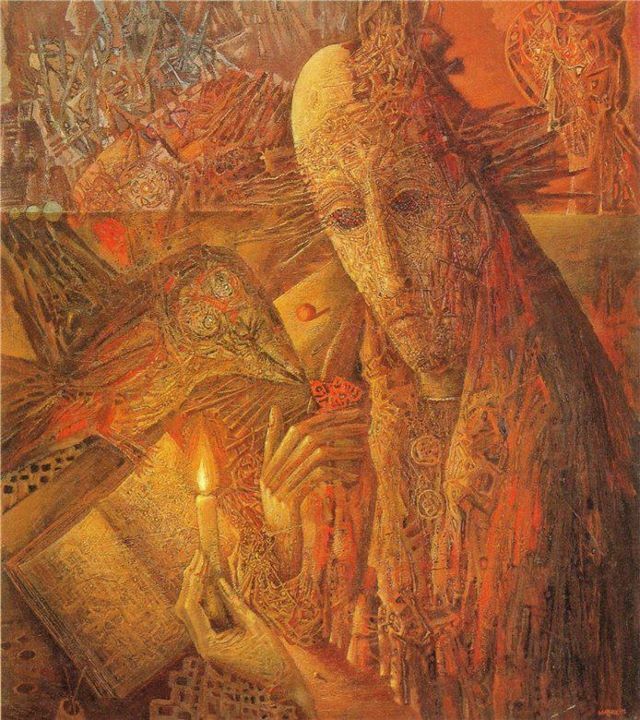 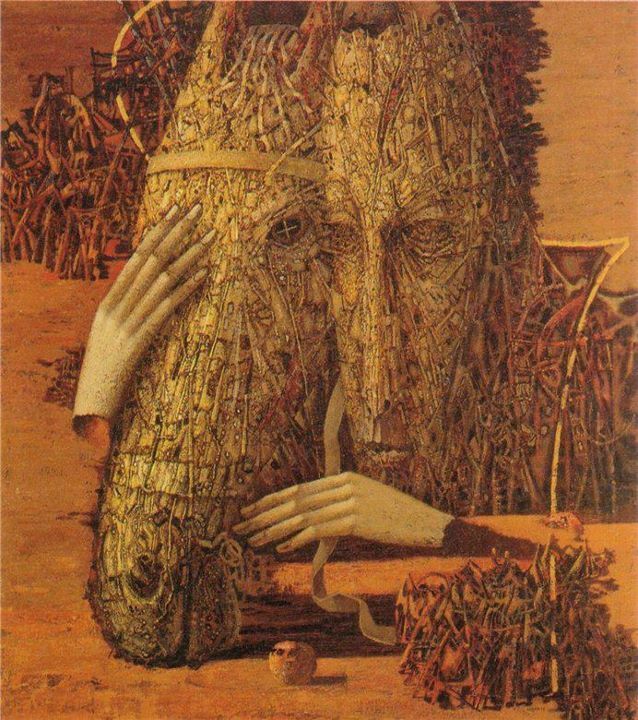 Ivan Marchuk was recently listed among the 100 living geniuses. 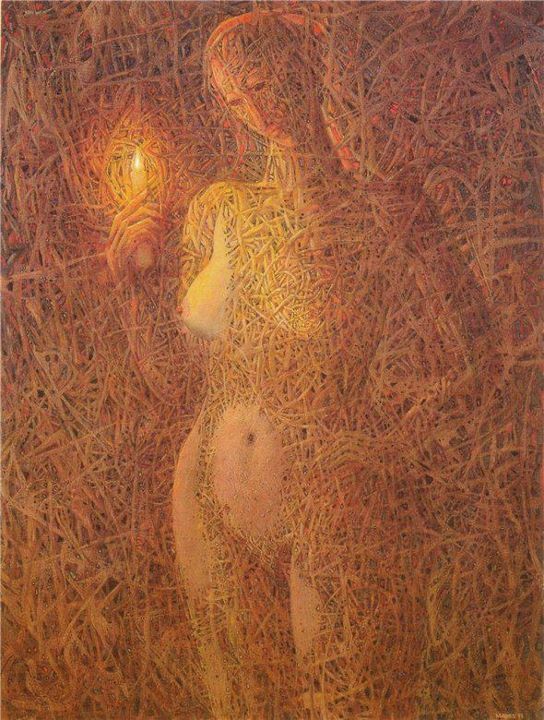 Marchuk invented a unique way of painting his pictures, which he calls "dabbing-on", thus creating an unusual effect of luminescence of his works. 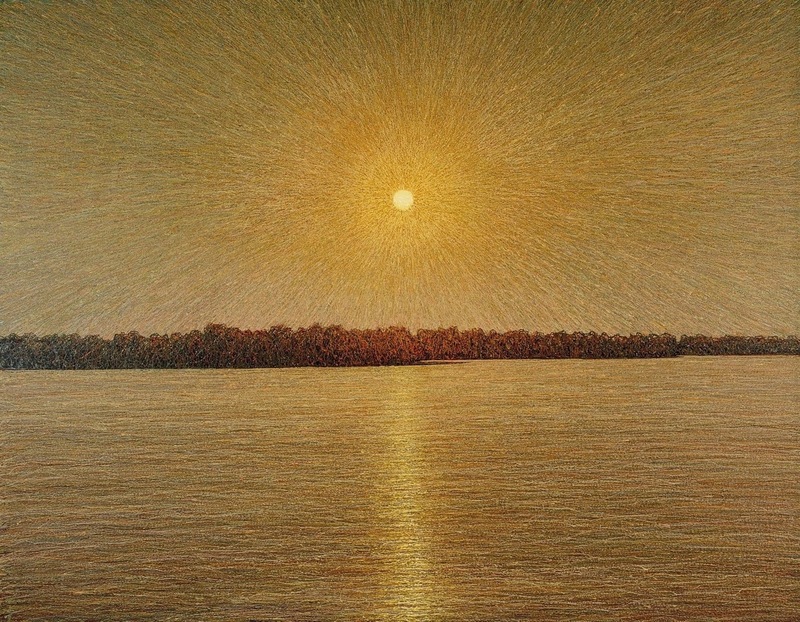 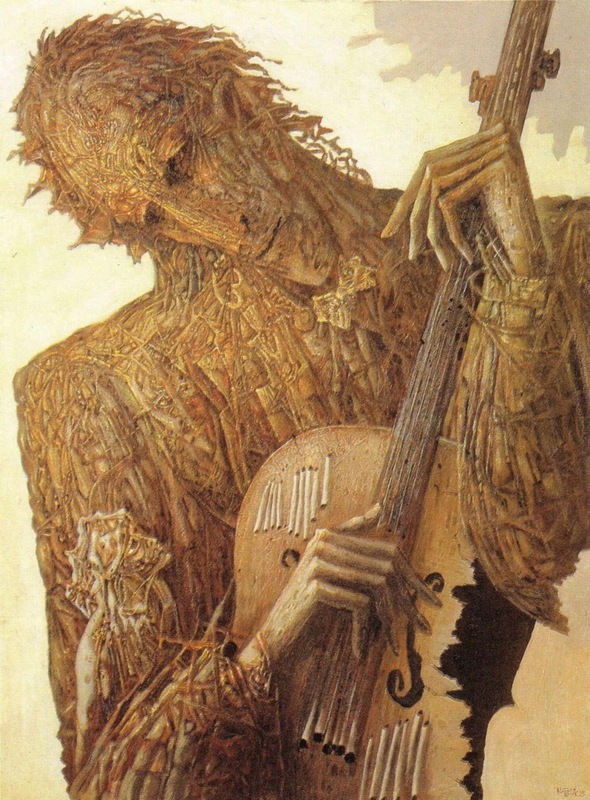 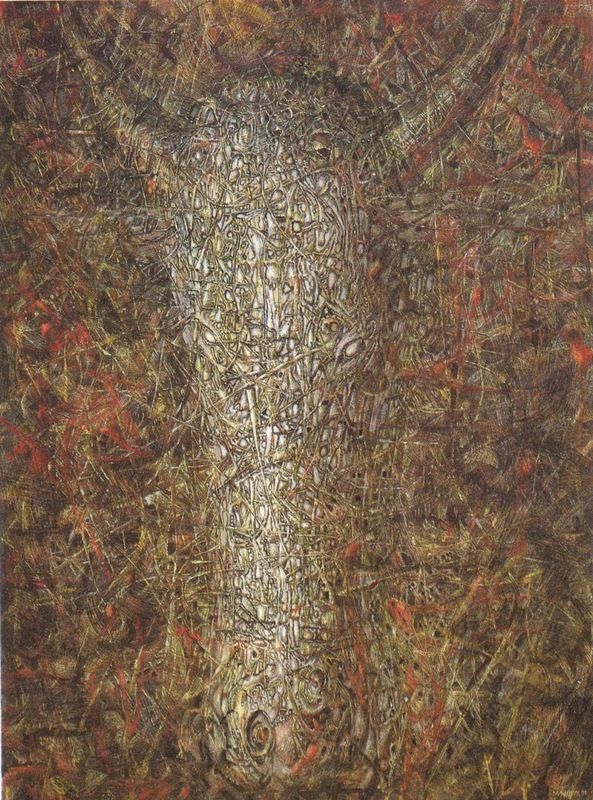 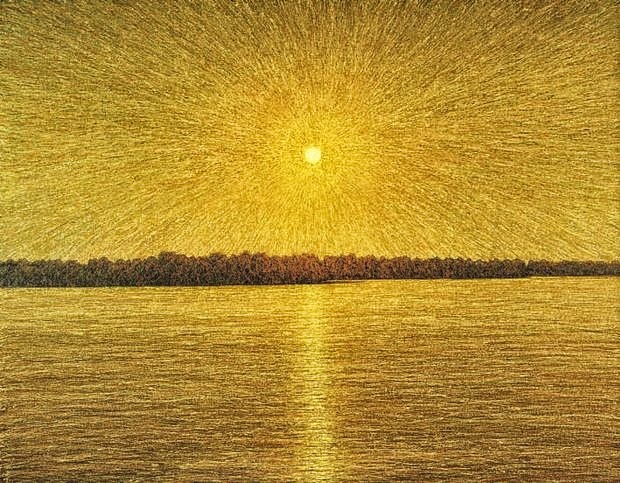 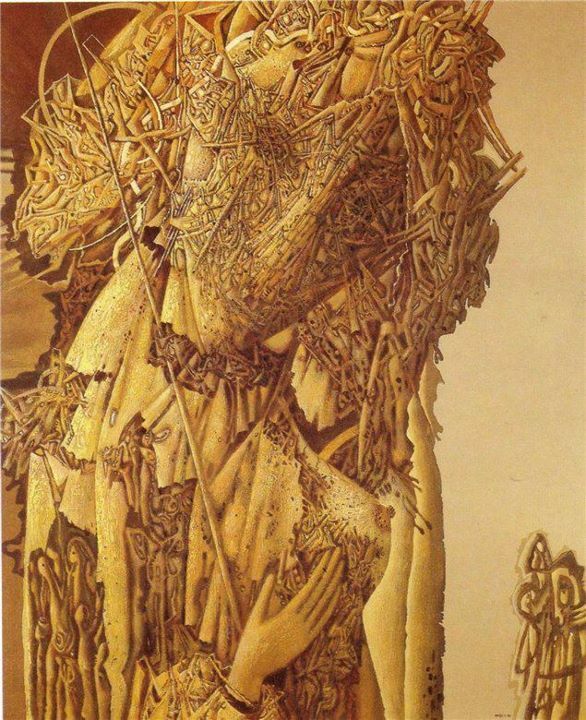 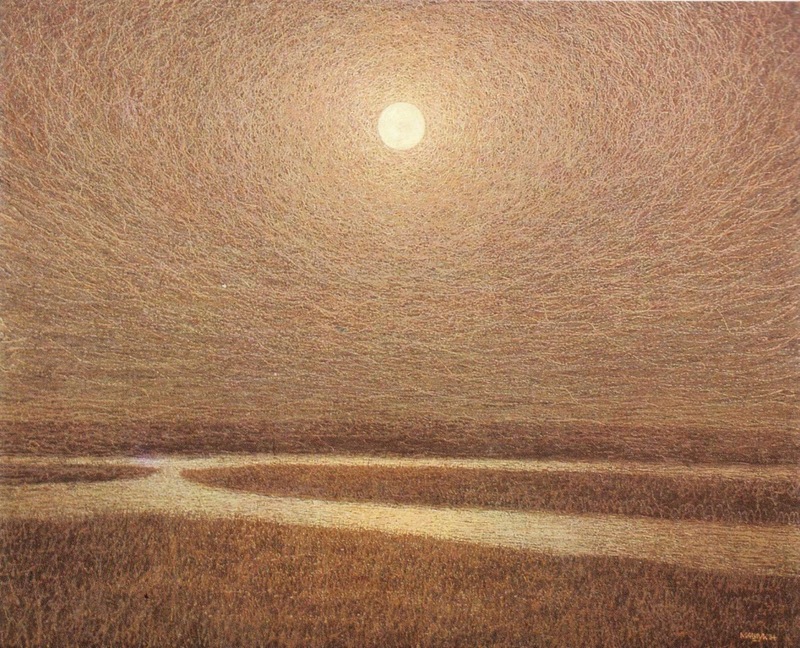 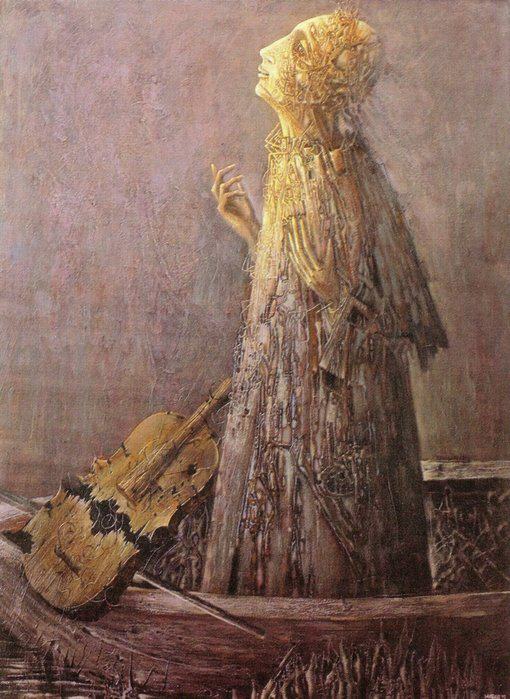 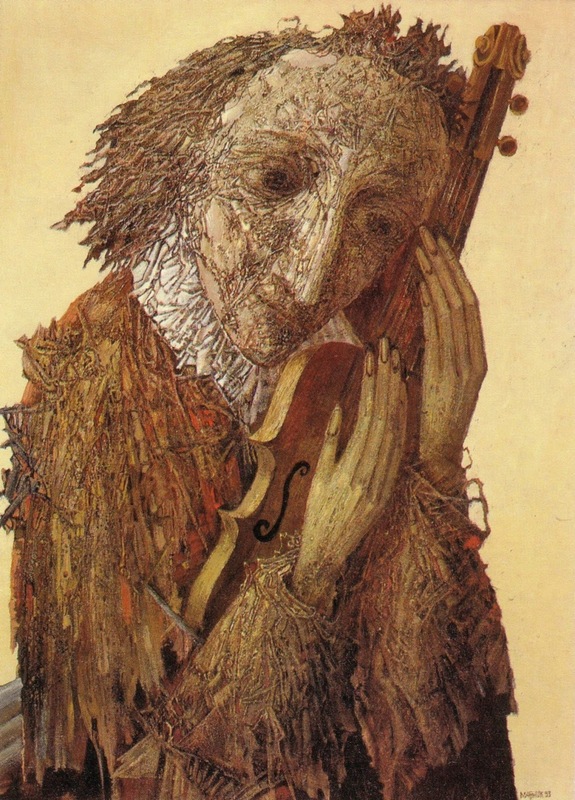 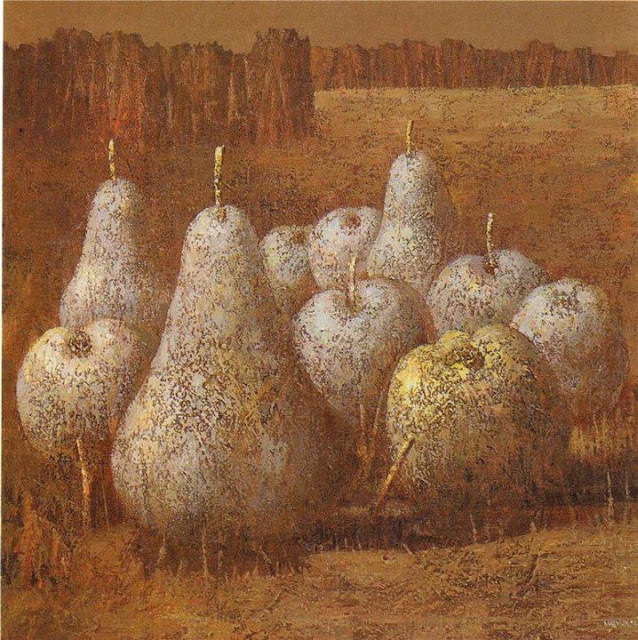 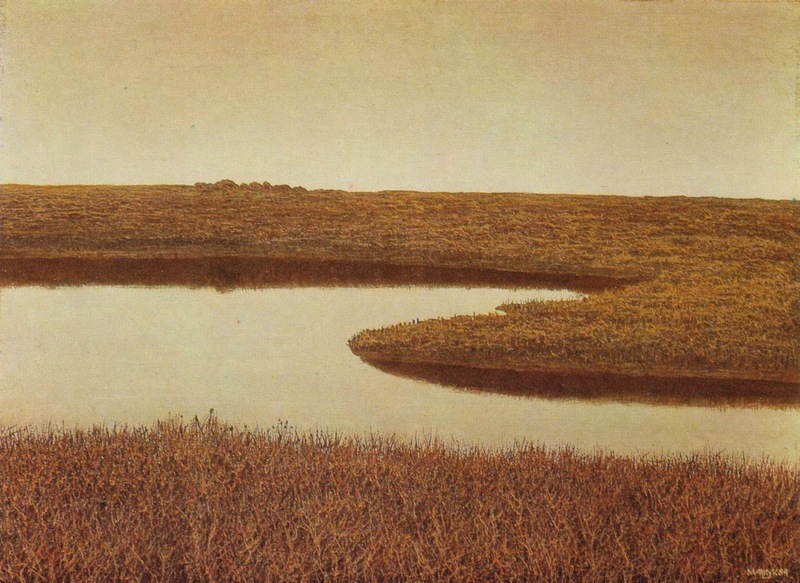 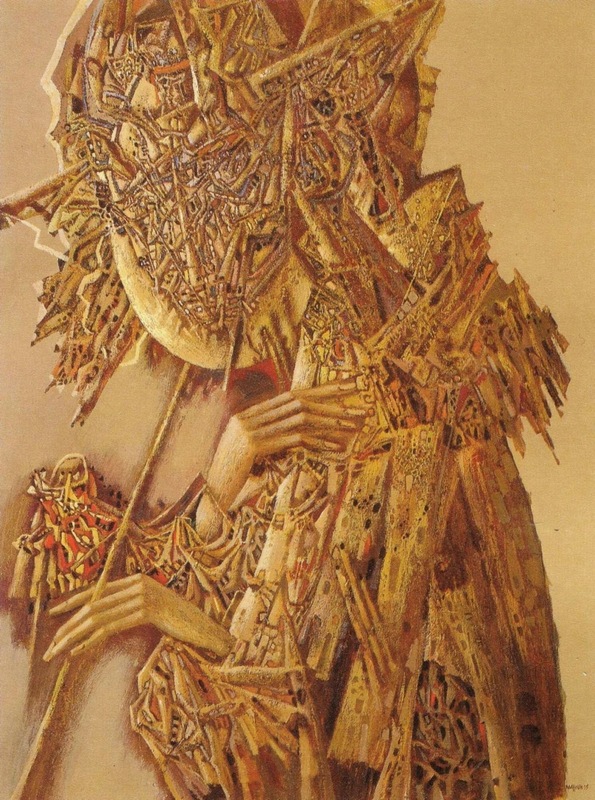 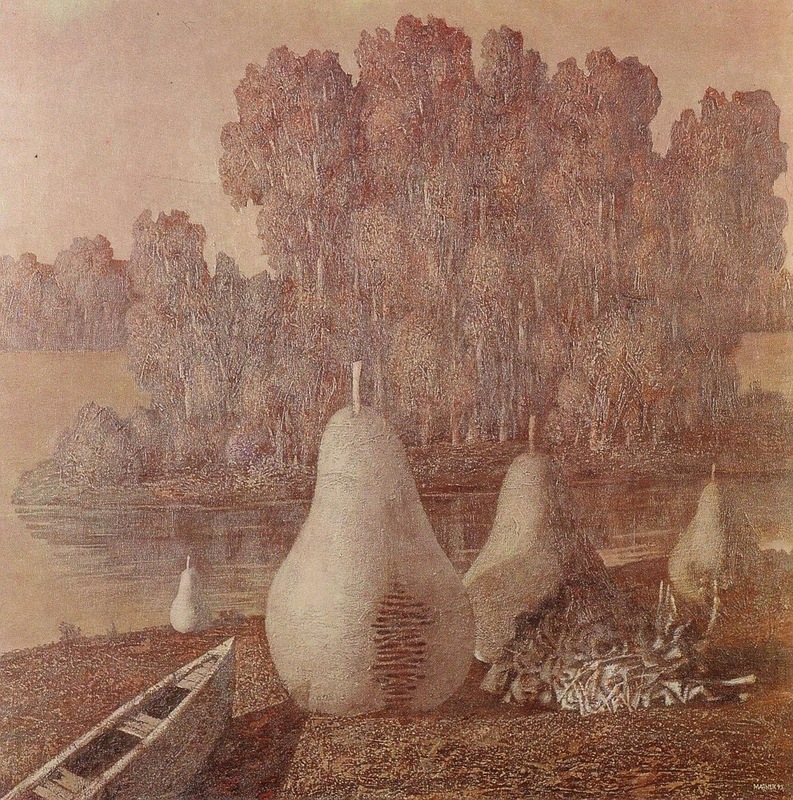 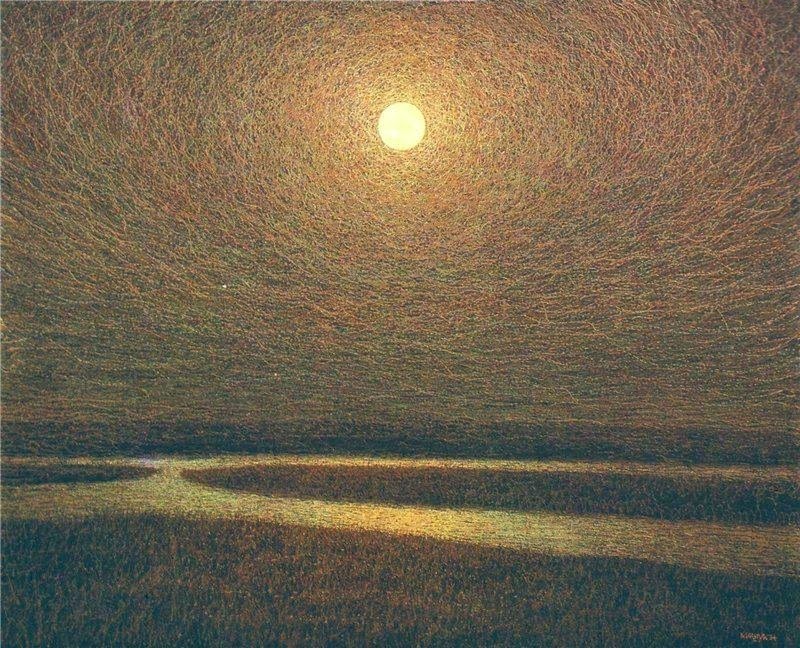 A museum of Ivan Marchuk is planned to be constructed in Kiev.